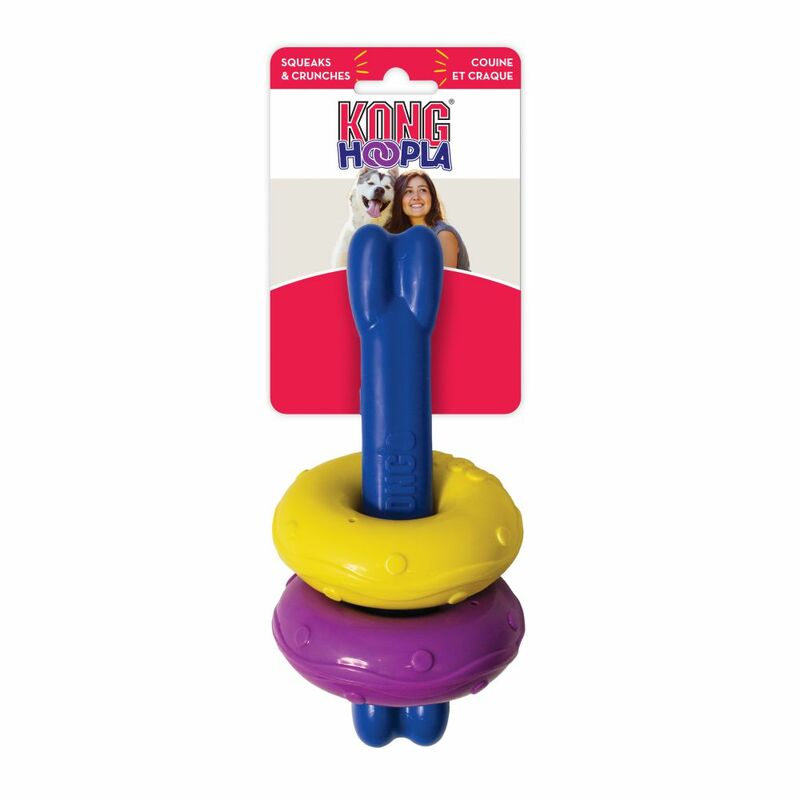 KONG Hoopla is a whole heap of fun and is built with durable materials for long-lasting play sessions. 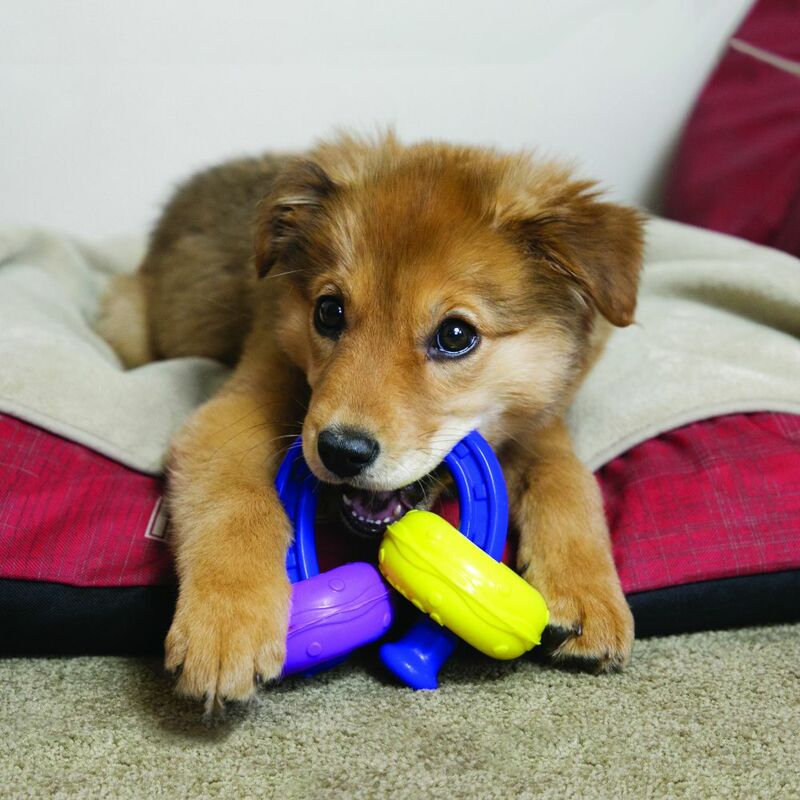 Hoopla offers multiple play choices including a variety of textures to satisfy natural chewing instincts and squeak and crunch sounds for interactive playtime. 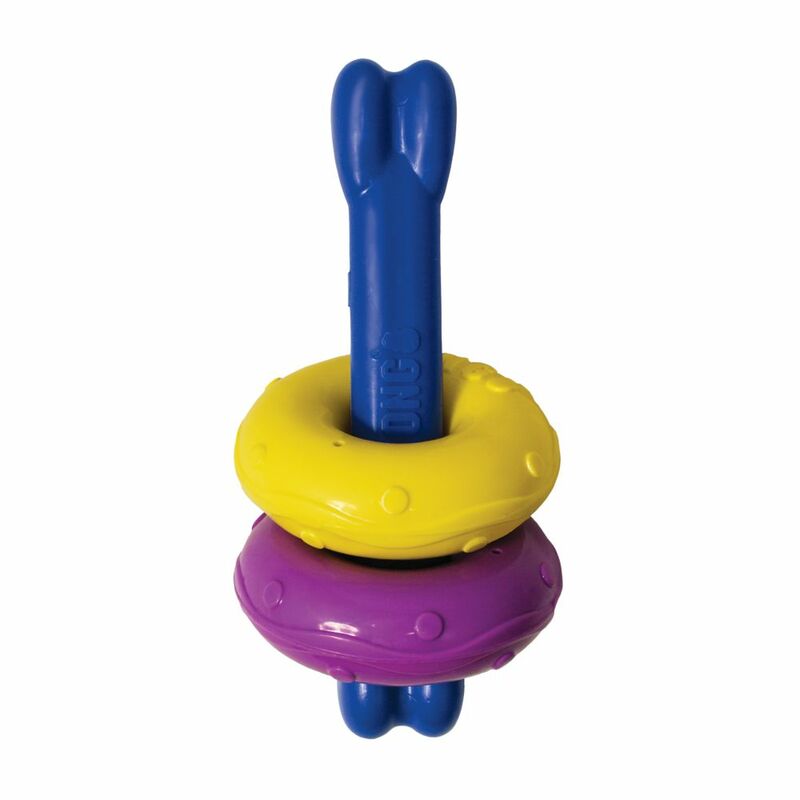 No matter the choice, Hoopla is sure to engage the liveliest of dogs, keeping them mentally challenged along the way.